Japanese publisher, Square Enix, had their own E3 Conference, and revealed more details for their upcoming games, such as Just Cause 4, Shadow of the Tomb Raider, and more! Square Enix started off with showing more gameplay of Shadow of the Tomb Raider (previously announced in Microsoft E3 2018 Conference). The gameplay showcased the game’s stealth mode, and how players may able to utilize their surroundings to take advantage over the enemies. Lara Croft can cover herself with mud, hide from trees, and even hang enemies from it as well. 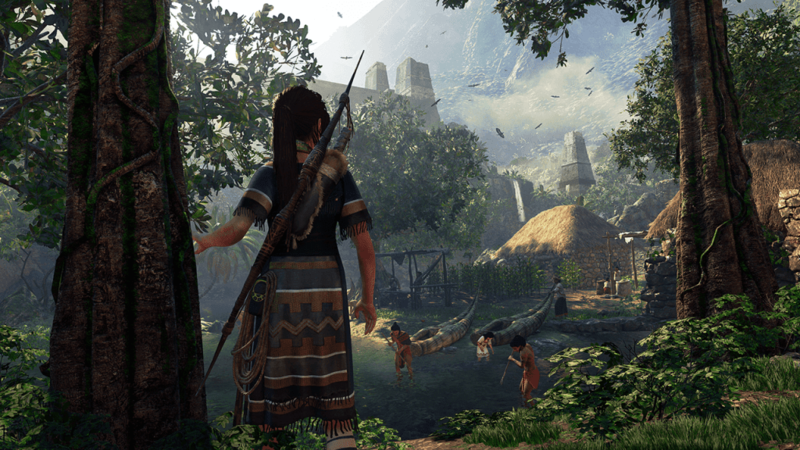 Daniel Chayer-Bisson, senior game director of Eidos Montreal, said that Shadow of the Tomb Raider will have much more in-depth gameplay mechanics, and even an underwater exploration in the game. Square Enix also announced an upcoming collaboration with Final Fantasy XIV and Monster Hunter: World. The above trailer is the free title update for Monster Hunter: World, which will let players fight against Final Fantasy XIV’s Behemoth. On the other hand, Final Fantasy XIV will get Rathalos, an iconic Monster Hunter World Wyvern. Of course, players have to complete Final Fantasy XIV: Stormblood’s story and has level 70 before accessing this crossover content. DONTNOD has confirmed that The Awesome Adventures of Captain Spirit is within the Life is Strange universe, but it is a brand new story. Thus, it is also the first step of the proper sequel, Life is Strange 2 that will be coming out this year too. You can already download The Awesome Adventures of Captain Spirit on Steam. Dragon Quest XI: Echoes of an Elusive Age gets a new trailer in the E3 Conference. It is more lengthy as it provides some story for the hunted Luminary and his companions. Square Enix has also announced special editions for the game. First of all, this is different from the previously announced special editions for specific stores. A physical edition of Light version has also been revealed, which has Akira Toriyama’s artwork. Players who preorder in PlayStation store will get The Legend Reborn theme as an instant reward. Steam users will receive exclusive PC wallpaper set and DLC items. Supplicant: an accessory with the power to restore magic points, Healer, an accessory with the power to restore hit points, and 3 Seeds of Skill, a consumable item which confer a players extra skill points. Bonus Digital Content: including Pep Pop, a drink that immediately peps up all active allies, and 15 more Seeds of Skill, which confer players extra skill points. From the creators of Nier: Automata, Bayonetta, and Vanquish, comes a new game called Babylon’s Fall. Only a teaser was shown, but it looks like it may be an action RPG type of game. It is such a quick teaser, with no other information. Although, based on their website, it will be released on PlayStation 4 and Steam probably in 2019. Additional note, Nier Automata: Become As Gods Edition will be coming out on June 26, 2018, on Microsoft Store. Latest RPG from Square Enix, Octopath Traveler (a new demo is available), follows eight characters with different job types, such as warrior, cleric, and more. It gets a new 30-second teaser at the conference. This is going to be a great addition for Nintendo Switch catalog, and it will be released on July 13, 2018. Just Cause 4 was revealed in Microsoft E3 Conference, but we got more of a detailed trailer in the Square Enix Conference. Apparently, the game is taking place in a fictional South American country and you are up against the Black Hand (again). Rico’s grappling hook gets an upgrade with more functionality, and there are new weather systems such as blizzards, lightning, tornadoes that change the gameplay altogether. The combat system has been overhauled by making enemies smarter. Again, Just Cause 4 is going to be another over-the-top open world and will be released on December 4, 2018. Probably the most mysterious reveal in this conference is The Quiet Man. It starts off with a live action then transitioning into a little bit of gameplay. It seems to be like an action-brawler type of game. Hopefully, it is not like Microsoft’s Quantum Break with the mixed of TV-style cutscenes rather than a full-blown game. Apparently, more information will be revealed in August, so we all have wait for that. 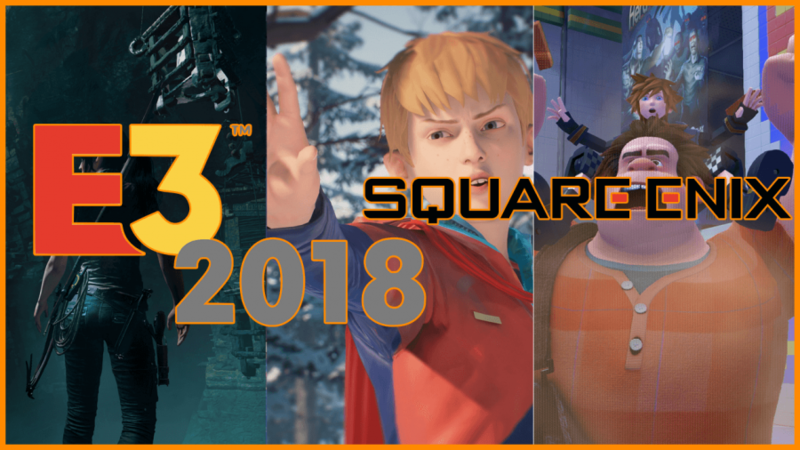 Kingdom Hearts 3 gets another trailer, showing Wreck-it-Ralph, Ratatouille, Tangled, Monster Inc, Toy Story, and more story continuation. Did I say I love the soundtrack for this trailer? The game will be released on January 29, 2019.